Given the methodological and theoretical discrepancies in existing literature regarding the Chinese economic system, I argue that in order to comprehend dynamics of Chinese economy, we need to unpack China into its subnational units. Through application of Régulation Theory, I emphasize that China does not represent a monolithic entity. Besides theoretical debate, I illustrate the existence at least two distinctive capitalist processes in China, which are manifested in Guangdong and Chongqing models. Existence of heterogeneous subsystems within the country directly challenges the notion of one China as a unit of analysis. 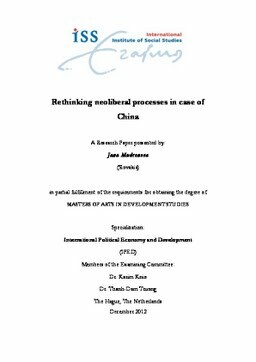 Therefore I argue that by talking about ‘Chinese characteristics’ or the China model, authors contribute to oversimplification and miscomprehension of uniqueness of the Chinese economic system.